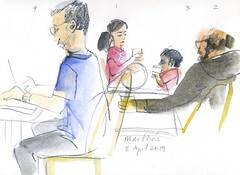 Tomorrow evening, pack up the kids, bring an appetite, and head to the Bernal Rec Center behind the Library to meet some of the people who put the safety in Bernal’s public safety programs. 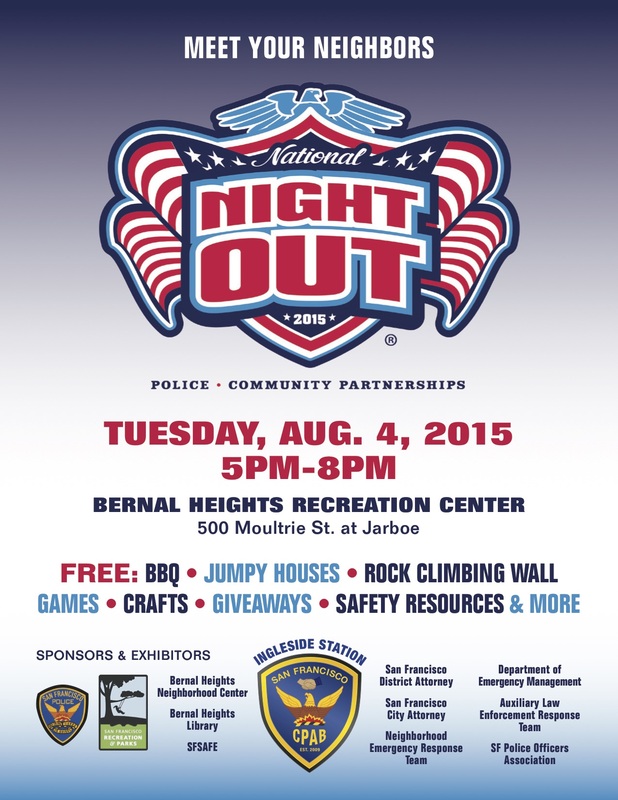 Join Your Neighbors on Tuesday, 8/4, for National Night Out at the Bernal Rec Center! National Night Out, in its 32nd year, is designed to get neighbors out on a summer evening so they can meet each other, police and fire personnel, local organizations, and merchants – all with the goal of promoting community safety. 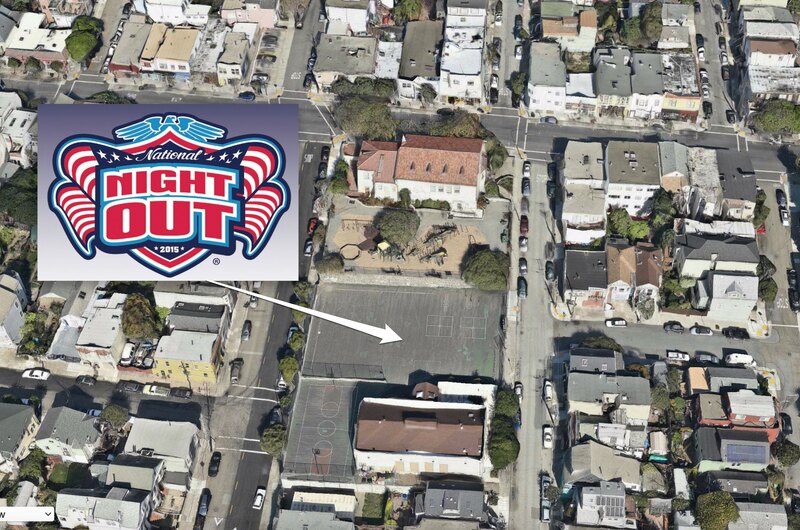 This year’s National Night Out celebration for the Ingleside Police District will be in Bernal Heights. Come out for a FREE BBQ dinner, lots of fun, kid-friendly activities, and a chance to learn from numerous organizations that will be tabling at the event. Join a neighborhood watch with SFSAFE; sign up for NERT training with the Fire Department; improve the safety of your block through environmental improvements like planting a tree with Friends of the Urban Forest. 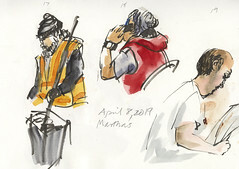 500 Moultrie Street @ Jarboe Ave.
Exhibitors include SFSAFE, NERT, ALERT, the Department of Emergency Management, the Bernal Heights Neighborhood Center, the SF District Attorney’s Office, the SF City Attorney’s Office, Rec & Park, Friends of the Urban Forest, and the Bernal Heights Library. Sponsors include SF POA, SFFD, Recology, Cordova Market, Mollie Stone’s, and the Boys and Girls Clubs.